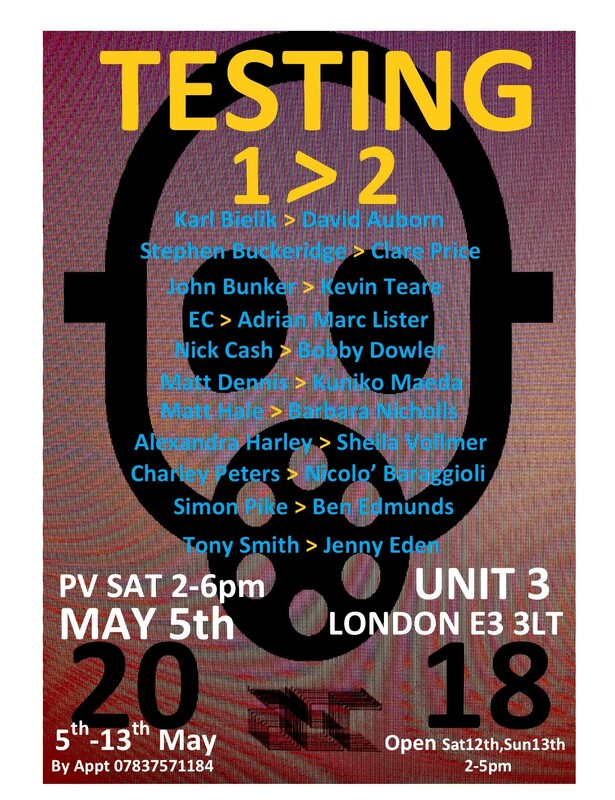 This is the second year in which I have the opportunity to share Unit 3 with a wider community of artists from London, the north of England and the USA. Some artists have returned for another go at choosing and some who were chosen by an artist last year take up the chance to select a new artist of their choice this year. As before, all participants are primarily working with painting, collage and sculpture in general and aspects of abstraction specifically. The curatorial challenge for me is intensified this year by a greater number of participants and the unknown quantities that are the selections that they will make. What excites me about Testing 1>2 is that I get to test my critical and curatorial responses to the decisions of the chosen artists in a more immediate and dynamic way. Ultimately, the artists here are testing me, each other and themselves in the transactions they make. 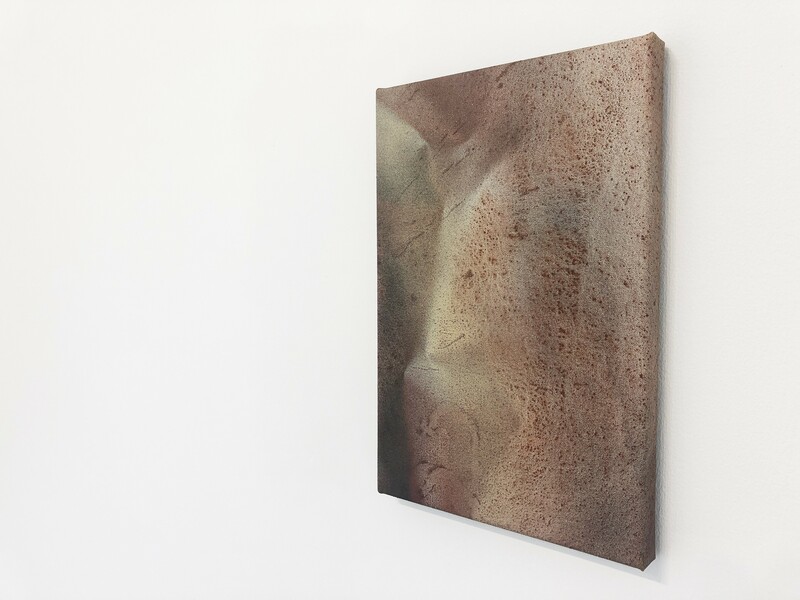 A second year of ‘Testing’ also allows us to broaden our understanding of how peers might be looking and listening to each other in terms of ongoing dialogues between artists. How does any of this manifest itself in the chosen artworks? Since the rise of social media, have artist’s dialogues become deeper and more complex? Or flatter, more shrill and competitive? What of ‘the bubble’ complex, the mutual appreciation societies, the cliques and vast ‘group show’ gangs? How do any of these social interactions translate themselves or remain buried in the way artists have selected other’s work here at Unit 3? What, if anything, can we glean from these visual combinations, liaisons, dialogues and potential stand offs between artworks? In truth, art that’s any good contains all the vital aspects of historical understanding. It shows real sensitivity to its chosen mediums and an awareness of a shared cultural moment or experience, complete with all its tensions, contradictions and dilemmas. I hope this show might go some way in bringing, what might seem like, mutually exclusive forms and positions in art, into some kind of prescient and dynamic dialogue.